0.50-carat diamond shown with Fancy Love Engagement Ring. 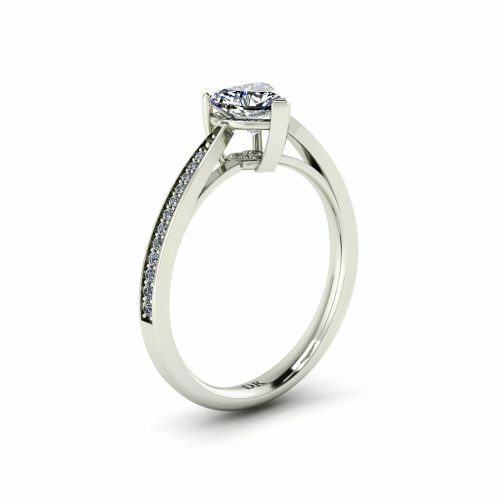 The Fancy Love Engagement Ring is perhaps the most straightforward way of saying “I love you”. This engagement ring is part of the Draco Fancy Collection. 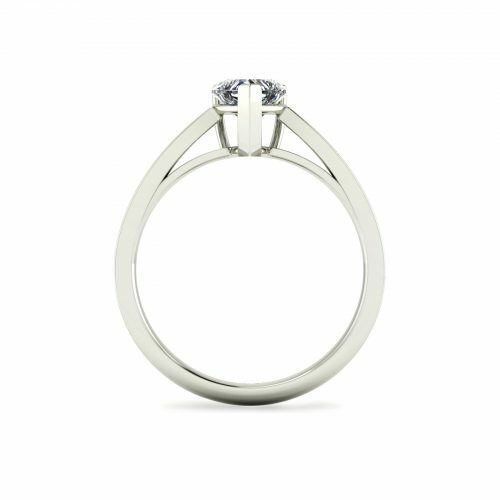 The engagement ring sets the heart-shaped diamond on a tapered pavé band. The heart-shaped diamond emits almost the same brilliance as round diamonds, but with more ‘romance’. This makes the fancy love engagement ring a popular design among ladies. The Fancy Love Engagement Ring is suitable for feature diamond of 0.50-carat and above. The ring is available in both 18K gold and platinum. 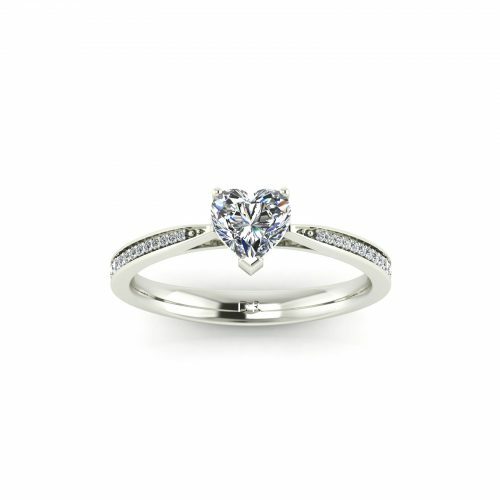 The engagement ring’s focal point is the heart-shaped feature diamond. The fancy shaped diamond is only popularized recently, but it actually has quite a long heritage. The first heart-shaped diamond appeared in the 1400s. Used to be a symbol of royalty, it slowly evolved into a symbol of friendship. And now, it represents love and romance. Heart-shaped diamonds are the most expensive diamond cut, which makes it the most cherished.